George Likes and wife Eve are Todd’s 4X great grandparents. Their last name is sometimes listed as Leix. I have a family history titled “The Pennsylvania Ditesch Family of Showalter” written by Floyd Howes. It was given to us by a neighbor of ours in St. Joseph, Missouri, Fay Haught Murray, who was a Showalter cousin. Mr. Howes included information about the Leix/Likes family and I’ve relied on it along with Ancestry.com and other internet sources for this article. George Likes was born in 1790 in Westmoreland County, Pennsylvania. His parents are said to have been Thomas Leix and Anna Maria Heizelman. Eve was born in March of 1791 in Pennsylvania. Her parents are unknown. Many family trees online list her as Eve Elizabeth Zimmerman. There is a Find A Grave memorial for an Eve Elizabeth Zimmerman born in Pennsylvania the same year as our Eve, who died the same year as our Eve, but this one married David Ash. I feel sure that our Eve’s maiden name wasn’t Zimmerman. George & Eve married in about 1810. In 1823, George and Eve bough 80 acres of land in Ashland County, Ohio. On the 1830 US Census, George was head of a household of 11 in Mohican, Wayne County, Ohio: 1 male under age 5 (Abraham was 1); 1 male aged 5-9 (George was 5); 1 male aged 10-14 (Jacob Likes was 10); 1 male aged 15-19 (John Likes was 16); 1 male aged 30-39 (George was 39); 1 female under age 5 (Margaret was 5); 1 female aged 5-9 (Christina was 8); 1 female aged 10-14 (Susanna Likes was 14); 1 female aged 15-19 (Mary was 19 & Catherine was 17); 1 female aged 30-39 (Eve was 38). On the 1840 US Census, George was head of a household of 9 in Mohican, Wayne County, Ohio: 1 male aged 5-9 (Henry was 8); 1 male aged 10-14 (Abraham was 11); 1 male aged 15-19 (George was 15); 1 male aged 20-29 (Jacob was 20); 2 males aged 40-49 (George was 49); 1 female aged 10-14 (Margaret was 14); 1 female aged 15-19 (Christina was 18); 1 female aged 40-49 (Eve was 48). George died in 1843 in Ashland County, Ohio. On the 1850 US Census, Eve was head of a household in Mohican, now in Ashland County, Ohio. She was 58. There were 2 children living at home: Henry, age 18; and Margaret, age 2. Her daughter Margaret would have been 20-25 years old, so either this is a grandchild or the census taker forgot a numeral. Living next door was George Likes, age 25, a shoemaker. On the 1860 US Census, Eve was 70 and lived with son Abram Likes, age 30, in Wayne, Nobel County, Indiana. Abram had was a widower with two kids. Also in the home was Todd’s 3X Great Grandmother Christina Likes Showalter, a widow, and 3 of her children. Eve died July 31, 1862 in Ashland County, Ohio. Her Find A Grave memorial is here. Mary Likes – Mary was born about 1811 in Pennsylvania. She married Joseph Childs in Wayne County, Ohio. They had 8 children. She died January 23, 1875 in Noble County, Indiana. Her Find A Grave memorial is here. Catherine Likes – Catherine was born about 1813 in Pennsylvania. She married Jesse Wycoff on May 25, 1832 in Wayne County, Ohio. They had 8 children. She is buried in Ashland County, Ohio. Her Find A Grave memorial is here. John Likes – John was born February 4, 1814 in Pennsylvania. He married Abigail Childs on June 30, 1836 in Wayne County, Ohio. They had 7 children. He died December 6, 1861, perhaps in Michigan. The family is in Ohio on the 1860 US Census, and Abigail is next found on the 1880 US Census in Berrier County, Michigan. She died there a few years later. Her Find A Grave memorial is here. Susanna Likes – Susanna was born December 14, 1816 in Pennsylvania. She married William Rendel on August 11, 1836 in Wayne County, Ohio. They had 9 children. She died August 23, 1875 in Noble County, Indiana. Her Find A Grave memorial is here. Jacob Likes – Jacob was born in May of 1820. He married Rachel Crowner on March 25, 1854. They had at least 2 children. He died August 14, 1862. His Find A Grave memorial is here. Christina Likes – Christina is Todd’s 3X Great Grandmother. Read more about her here. George Likes Jr. – George was born about 1825. He married Mary Ann Barger on September 20, 1846. They had 3 children, and she died in childbirth in 1852. Later that year George married Malinda Buss on October 6, 1853 in Ashland County, Ohio, and they had 2 children. George died in about 1859. Abraham Likes – Abraham was born October 7, 1827. He married Eva Bean and they had at least 5 children. He died March 5, 1870 in Berrien County, Michigan. His Find A Grave memorial is here. Margaret Likes – Margaret was born between 1825 & 1830. She married Ebenezer McGinley on November 20, 1851 in Ashland County, Ohio. They had at least 2 children. Ebenezer died serving in the Civil War. Henry Likes – Henry was born December 19, 1832. He married Hannah Showalter, whose deceased mother was his cousin, and whose stepmother was his sister Christina. They had at least 7 children. He died November 5, 1879 and he is buried near Fenton, Illinois. His Find A Grave memorial is here. David Showalter & Hannah M. Weltmer are Todd’s 4X Great Grandparents. I have family history titled “The Pennsylvania Ditesch Family of Showalter” written by Floyd Howes. It was given to us by a neighbor of ours in St. Joseph, Missouri, Fay Haught Murray, who was a Showalter cousin. I’ve relied on this document along with Ancestry.com and other internet sources for this article. David Showalter was born in 1772 in Lancaster County, Pennsylvania. His parents are Christian Showalter and Barbara Shirk, and he had 12 siblings. Christian Showalter arrived in Philadelphia with his father Jacob, mother, and 10 siblings on November 3, 1750. Christian’s parents were born in Switzerland and had immigrated to Holland shortly before immigrating to America. Christian Showalter served in the American Revolution with his sons Jacob, Valentine & Christian. Hannah M. Weltmer was born about 1779 in Pennsylvania. Her parents are unknown. David & Hannah married in about 1798. David Showalter died in Westmoreland County, Pennsylvania by 1825 when Hannah moved to Wayne County, Ohio with her children. On the 1850 US Census, Hannah was 71 and lived alone in Chester, Wayne County, Ohio. Her daughter Hannah, married to Jacob Weltmer, lived next door. On the 1860 US Census, Hannah was 81 and lived in Lancaster County, Pennsylvania with the family of Martha Showalter Laise, probably a niece. Hannah died January 11, 1864 and is buried in Wayne County, Ohio at Bethel Cemetary (Church of God) in Chester Township by her daughter Hannah Showalter Weltmer. Henry Showalter – Henry was born January 27, 1799. I have no record of him. Elizabeth Showalter – Elizabeth was born January 2, 1801. I have no records of her. Hannah Showalter – Hannah was born January 28, 1803. 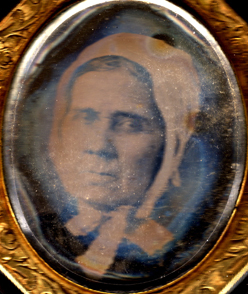 She married Jacob Weltmer on November 17, 1825 in Wayne County, Ohio. They had 9 children. She died April 26, 1872. She is buried in Bethel Cemetary in Chester Township, Ohio next to her mother. David Showalter – David is Todd’s 3X Great Grandfather. Read about him here. Samuel Showalter – Samuel was born September 5, 1806. He married Sarah Jane Blue on November 9, 1827 in Wayne County, Ohio. They moved to Illinois in 1839. They raised 2 nephews and a niece, and had at least 5 children of their own. He fought in the Civil War at age 55, with the 37th Regiment of Iowa Volunteer Infantry, Company C. Two of his sons fought too. He died August 10, 1881 in Macoupin County, Illinois. His Find A Grave memorial is here. Sarah Showalter – Sarah was born June 5, 1810. She married Jesse Downard, a shoemaker, on February 16, 1828. They had 13 children, and lived in Ohio until after the 1860 US Census. On the 1870 US Census Sarah lived in a hotel in Andrew County, Missouri and worked as a domestic servant. Two of her children lived with her. On the 1880 US Census she lived with a daughter in Knox County, Illinois. She died June 15, 1891. Jacob Showalter – Jacob was born March 14, 1812. He married Sarah Miller on September 19, 1833 in Wayne County, Ohio. They moved to Indiana and had at least 10 children. It is said that he died in January of 1867. Anna Showalter – Anna was born January 13, 1815. She married George Filger on April 14, 1833 in Wayne County, Ohio. She is said to have died on November 30, 1891 in Mount Pleasant, Adams County, Pennsylvania. David Showalter and Christina Likes are Todd’s 3X Great Grandparents. David Showalter was born July 10, 1804 in Westmoreland County, Pennsylvania. His parents are David Showalter and Hannah Weltmer. Read about them here. Christina Likes, who went by the nickname “Teanie,” was born in 1822 in Pennsylvania. Her parents are George and Eve Leix/Likes. See Eve’s Find a Grave memorial here. Read about Christina’s parents here. David came to Wayne County, Ohio with his widowed mother and siblings around 1825. David Showalter first married Christina’s cousin Margaret Likes on August 30, 1827 in Wayne County, Ohio. They had 6 children. (We know their names because they were listed in a legal action taken in the estate of Margaret’s father John Like’s, and a transcript of it is included in the book by Floyd Howes.) Margaret died in 1841 in Wayne County, Ohio. After Margaret died, David married Christina Likes on February 17, 1846 in Wayne County, Ohio. Todd’s 2X Great Grandfather David was the 2nd of their 5 children. On the 1850 US Census, David was 46 and Christina was 28. The family was farming in Ashland County, Ohio. Children in the home were: John, age 23; Margaret, age 16; Hannah, age 13; Ann, age 11; Sarah, age 9; W. H. age 2; and David, 4 months. Everyone except David was born in Ohio. David was born in Pennsylvania. The family moved to Defiance County, Ohio and had a son there in 1853, followed by 2 more children. It is believed that David died between 1856 & 1860, in Noble County, Indiana, because that is where Christina is found in 1860. After David’s death, Christina brought her young sons back to Ashland County, Ohio. She “bound out” David, Todd’s 3X Great Grandfather, to her cousin Jake Weltmer. She “bound out” William Henry to her cousin John Weltmer. She then returned to Indiana with the other children. On the 1860 US Census, Christina was 35 and lived with her youngest children (Joseph, age 7; Martha, age 5; Abram, age 4) with her brother Abram Likes, his 2 children, and her mother Eve Likes, age 70, in Wayne, Noble County, Indiana. A couple of years later Christina married Hezekiah Elwood, said to have been a Baptist Minister. He didn’t want to raise her children so they were “bound out” with relatives. Joseph, age 9, was “bound out” to Christina’s brother Abram Likes. Martha, age 7, and Abraham, age 4, went to other homes. On the 1870 US Census, Hezekiah was 70 and Christina was 50. They lived in Spring Green, Sauk County, Wisconsin. They had 2 sons: Hezekiah was 6 and Richard was 3. Both children are said to have been born in Indiana. The sons are later known as Thomas and Frank. Christina died in 1875. There is a stone for her where son David is buried in Holt County, Missouri, and some believed he moved her there. John Likes Showalter – John was born June 18, 1828 in Ohio. He married Lucinda Tucker, and then he married her sister Martha Tucker. They had 6 children. He died on March 7, 1900 in Whiteside County, Illinois. His Find A Grave memorial is here. Catherine Showalter – Catherine was born about 1830. She is said to have married John Jewell but I can’t find record of it. Margaret Showalter – Margaret was born about 1834. She married Job Beollier on June 30, 1853 in Ashland County, Ohio. Hannah Showalter – Hannah was born January 15, 1837. She married Henry Likes in Ashland County, Ohio. (Henry Likes was the brother of Hannah’s stepmother Christina Likes, and her mother’s cousin.) They had at least 7 children. She married John Hollowell on January 14, 1886 in Whiteside Co., IL. She died on July 16, 1904 in Illinois. Her Find A Grave memorial is here. Ann Showalter – Ann was born about 1839. She married Thomas Onstott on January 9, 1858 in Wayne County, Ohio. They had 2 sons. Thomas fought in the Civil War and Anna filed for a widow’s pension in July of 1890. She died April 28, 1895 in Wayne County, Ohio. Sarah Showalter – Sarah was born about 1841. She married Nathaniel Edy in Ashland County, Ohio on October 10, 1859. I don’t have further record of them. It’s confusing because there is a Sarah Eddy in the area, but her maiden name is Merkel and her husband was Asa Eddy. William Henry Showalter – William was born October 27, 1847. He died in 1867 at age 19. His Find A Grave memorial is here. David Showalter – David is Todd’s Great Great Grandfather. Read about him here. Joseph Showalter – Joseph was born December 25, 1853 in Defiance County, Ohio. He moved to Holt County, Missouri around the time his brother David did. He married the widowed Sarah Ann Garrett Tharp on February 27, 1881 in Holt County, Missouri. They had 6 children and lived in South Dakota and Sherman County, Kansas before settling in Washington County, Kansas. He died on August 1, 1927 at the home of his daughter in Afton, Iowa, but he is buried in Washington County, Kansas. His Find A Grave memorial is here. Abraham Showalter – Abraham was born in 1856 in Ohio. The only record of him is the 1860 US Census.